The President has cleared the ordinance (i.e., Specified Bank Notes (cessation of Liabilities) ordinance, 2016). 1. Any citizen of India can deposit old notes (i.e., demonetized notes of Rs 500 and 1,000) at RBI till March 31, 2017. He needs to give declaration that he was outside India during November 9, 2016 till December 30, 2016. 2. Any Indian citizen who is non-resident can deposit old notes at RBI till June 30, 2017 after giving declaration that he was outside India during November 9, 2016 till December 30, 2016. 3. Such persons who were outside India can bring old notes into India up to Rs 25,000 subject to satisfaction of FEMA norms. Thus, such residents or non-residents can only deposit Rs 25,000 to RBI till March 31, 2017 or June 30, 2017, respectively. 4. Such citizens also need to satisfy the conditions as may be specified by RBI. 5. RBI may credit the value of old notes in KYC compliant bank account only when it is satisfied about the genuineness of reasons for not depositing old notes till December 30, 2016. 6. Any person who makes false declaration to RBI shall be punishable with fine of Rs 50,000 or five times the amount of old notes, whichever is higher. 7. No person, whether resident or non-resident, shall be allowed to hold the old notes after March 31, 2017 or June 30, 2017. 8. Any person who holds old notes after March 31, 2017 or June 30, 2017 may need to pay penalty. 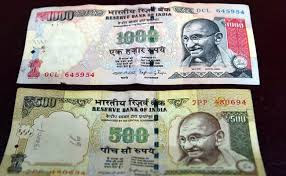 The amount of penalty may extend to Rs 10,000 or five times the value of old notes, whichever is higher. 9. However, any person can hold up to 10 old notes after March 31, 2017 or June 30, 2017. Old notes up to 25 can be possessed for purposes of study, research and numismatics. Rule no 8 is confusing.If one has to pay 5 times or higher the value, why should anyone come forward to exchange?